Part 1 of 'The Biggest Question: why does God allow suffering? Could you forgive someone who murdered your son? 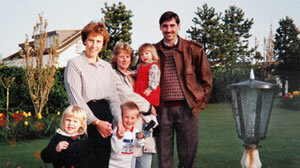 Robin Oake’s son Stephen was killed by a terrorist during a police raid on a 'safe house.' In a press conference afterwards, Robin said of the terrorist who had killed his son, 'I forgive him.' In this video, Robin tells his story. Part 1 of 'The Biggest Question: why does God allow suffering?' Introduced by BBC TV Songs of Praise presenter Diane Louise Jordan. 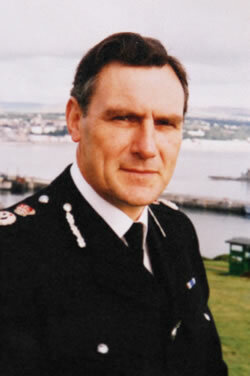 Robin Oake was the Chief Constable of the Isle of Man Constabulary from 1986 to 1999. Before that, he was Assistant Chief Constable of the Greater Manchester Police. Robin's son, Stephen, was a detective constable who was stabbed and killed while arresting a terrorist suspect in Manchester.